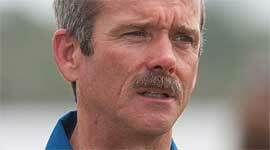 Canadian astronaut Chris Hadfield gives an interview at the press site of the Kennedy Space Centre. 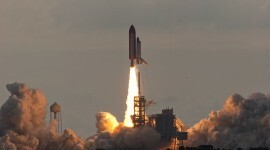 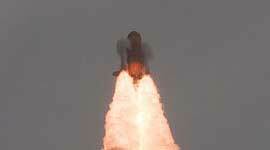 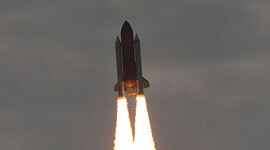 Hadfield flew on two shuttle missions, STS-74 (Atlantis) and STS-100 (Endeavour). 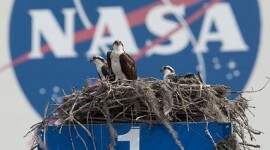 A family of ospreys stand watch in their nest, framed by the NASA ‘meatball’ logo on the side of the Vehicle Assembly Building. 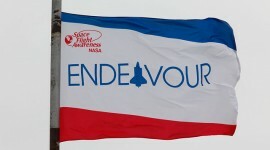 Endeavour’s flag flies proudly over Launch Complex 39A. 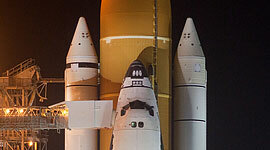 This is actually a fairly difficult shot to get, 95% of the time the wind blows the flag backwards. 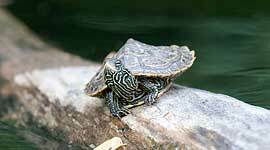 A baby map turtle, no more than four inches long, basks on a floating branch. 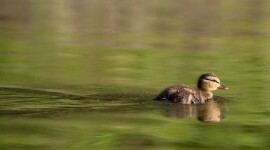 A mallard duckling swims alone on the reflected colours of a June afternoon. 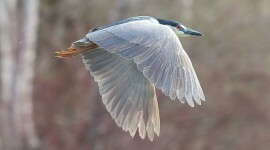 A mature black-crowned night heron wings its way past the camera, at the end of its long migration north for the summer. 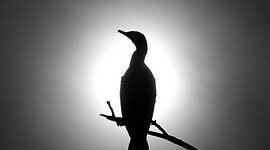 A cormorant, perched on a dead tree, performs a partial eclipse of the sun. 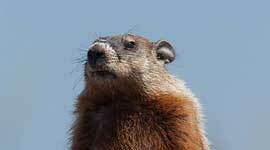 A groundhog surveys the rocky landscape of the Canadian Shield, offshore from Georgian Bay’s Byng Inlet. 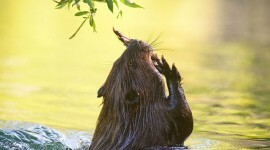 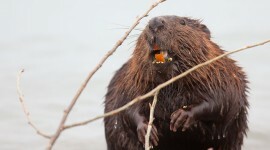 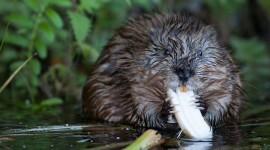 A muskrat chows down on a tasty tuber dug up from the Trout Pond. 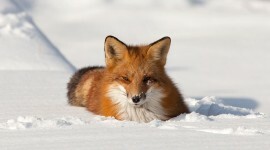 A red fox relaxes in the deep snow of February. 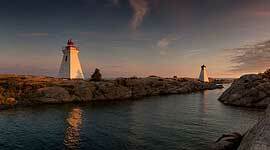 The sun sets on the lighthouse and twin ranges of the Bustard Islands, Georgian Bay. 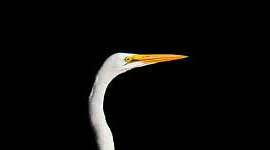 A great egret steps into the sunlight against a backdrop of pure shadow. 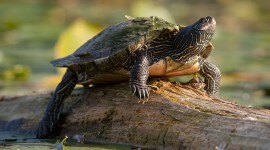 A painted turtle leans into the sunset light, basking in the beautiful warmth of long August days. 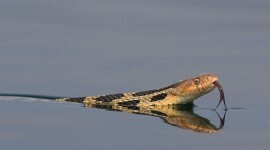 An eastern fox snake swims in the perfect calm of a high-pressure system. 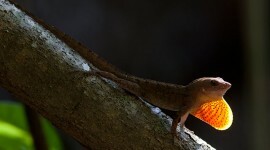 A brown anole does its best to ward off the photographer on the Maritime Hammock Trail of the Archie Carr National Wildlife Refuge. 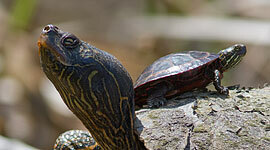 A baby painted turtle basks in the sun on the back of a much larger adult.